Next three years of my work will be partly related with European IST 7th Framework Project IntelLEO. IntelLEO is an acronym for extended intelligent learning organization model – a hybrid knowledge-management model between two institutions. I will be responsible of the Pedagogical tasks of IntelLEO. (b) services for harmonisation of individual and organisational objectives. The responsiveness of an IntelLEO is corporate performance in which individuals are motivated to proactively learn and construct knowledge. – if their personal objectives of learning and creativity are dynamically harmonized with the organisational learning and knowledge-building objectives of different IntelLEO counterparts. 2. The effectiveness of the technological support that will be developed in the project to increase the responsiveness of an IntelLEO is achieved by the synergy of the two kinds of services mentioned above ((a) and (b)). 3. Learning and harmonisation of individual and organisational objectives happen at different temporal collaborative knowledge-building and learning groups of an IntelLEO. The launch of the project takes place in Bremen this week. Next week i will be in Malta. There is a conference of environmental education. This week we have the iCamp project meeting in Istanbul to plan the next trial of the project and meet with external facilitators. 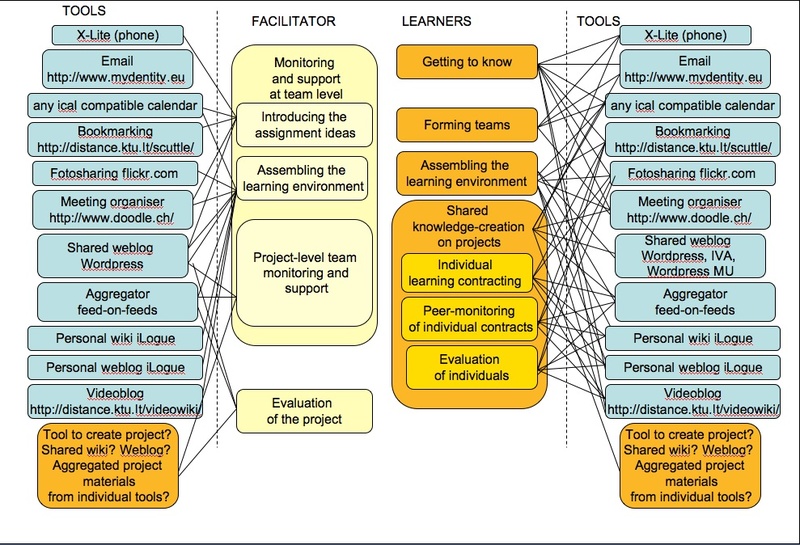 This time we will test the integrated landscape, which consists of Moodle and other social software tools. The trial will be the EMIM e-learning course in an international settings. Through a series of practical hands-on activities and reflective discussions in international groups, participants will gain insight to e-learning concepts, issues, technologies, standards, methods and policies that are introduced with real-life examples and with the support of an advanced distributed e-learning environment. 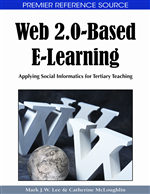 Special attention will be given to interoperability issues in learning technology domain, knowledge management and social-constructivist methods of computer-supported collaborative learning and networking in challenging environment. Students will apply self-directed learning principles using conversational learning contracts. The end of the year 2007 is the time of saying farewell to my 7 years of working in ICT based science education at the University of Tartu. I am on the move already more than a year, my new job in Tallinn University is more about general social- and hybrid spaces, and i love it too. But looking back and saying farewell is sad. Maybe this is the reason i have been quiet in my weblog. 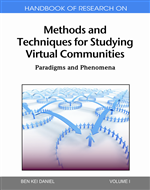 We developed methods of conducting visualized individual and collaborative model-based learning in physics, chemistry and biology (Pata & Sarapuu, 2003b; Puusepp, Pata & Sarapuu, 2003a; Pata & Sarapuu, 2004b; Pata, Puusepp & Sarapuu, 2004). Problems were introduced at web-pages. 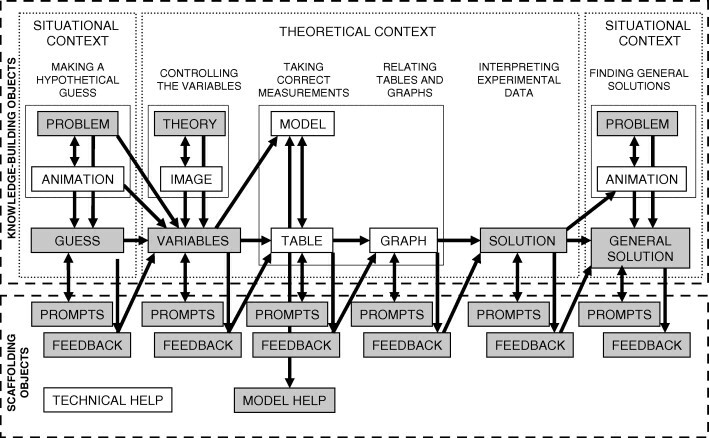 Activity in chatroom started from hypothetico-predictive reasoning of the problem solution without conceptual support, and continued with model-based reasoning with expressive (constructing models) or inquiry models (performing inquiry with ready-made models). Metacognitive and cognitive support of the tutor was provided in chatroom. The spontaneous process of developing shared mental models was analysed. It was found that the students start constructing their mental models from structural relationships within the object-category, giving them names and describing their properties, and ends with the mapping of processes. At individual level the conceptual change was found to be related with the increased process category, and changes within the object category elements. The change towards using more scientific categories besides everyday explanations was recorded as well (Pata & Sarapuu, 2003). 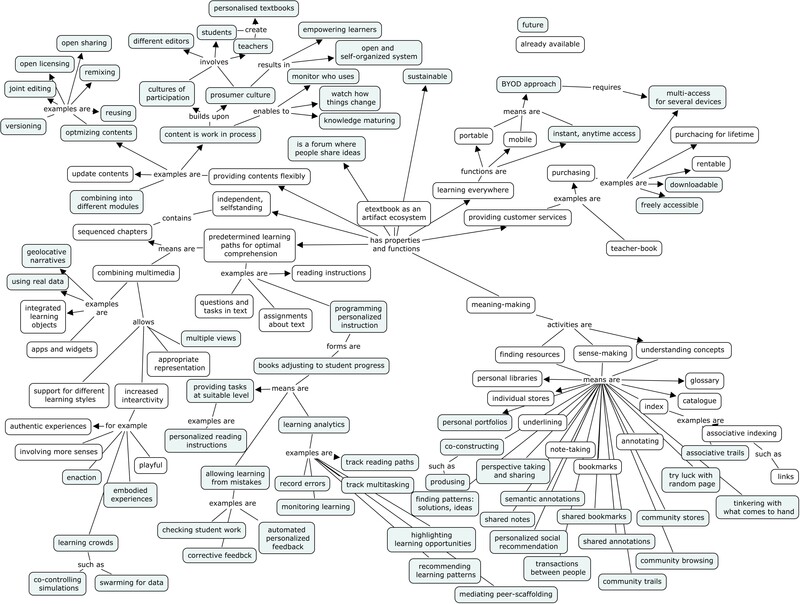 We developed the theoretical framework of structural and conceptual development of problem representations in science (Pata & Sarapuu, 2003; Puusepp, Pata & Sarapuu, 2003; Adojaan & Sarapuu, 2003; Pata & Sarapuu, 2004; Pata, Puusepp ja Sarapuu, 2004). This theory assumes that students ability to explain natural phenomena can be characterised as the directed development towards completeness of mental representations. In this process the structural elements (objects and processes and their properties), as well as, their causal relationships (between objects, between objects and processes, and between processes), but also the conceptual levels of these elements (macroscopic, microscopic and symbolic; concrete and abstract) are developed and hierarchically mapped in mental models and their external representations. 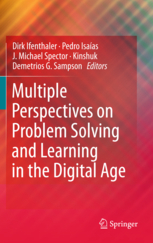 Since the development of problem representations is tightly connected with the reasoning processes, it was presumed that different types of model-based reasoning processes would have divergent influence on the development of students‘ mental representations of the problems. It was supposed that inductive expressive model-based reasoning (constructing the model) and deductive exploratory model-based reasoning (working with inquiry model) would enhance different cognitive construction processes and mental model development. Our results indicated that students were applying different cognitive reasoning processes when working with expressive or exploratory models. When working with the expressive model (composing the model) students completed their individual mental models gradually with new elements, their mental models were developed as whole in the problem context. This model-based reasoning resulted that students were able of reconstructing the mental models of the problem also individually after collaborative modelling. When working with the exploratory model, students tested the validity of their initial hypothesis. For this the initial mental model was tested partially and sequentially with the exploratory model, replacing parts of it. However, difficulties were observed in relating the problem context and the model context. The usage of abstract quantitative reasoning during the collaborative model-based inquiry indicated that students were developing a scientifically correct mental model of the phenomenon. However, after the modelling activity they were not able to repeat individually mental models of the specific problem at similar abstract level. Learning in joint inquiry situations by using shared visualisation and synchronous talk in textual mode rises the importance of scaffolding the shared activities. In collaborative modelling students need to understand the meaning of their peers‘ representations and their planning processes. 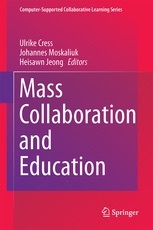 Several studies were conducted in collaboration with the Universities of Turku and Western Sidney, focusing on the interrelated scaffolding roles of the tutor and students in chatroom environment. A role-play was conducted with basic school students, which was supported with web-based representations and tutors‘ and students‘ verbal scaffolding. The results indicated that the actions directed to solve the problem are not determined by specific tutors‘ action types but the intensity of tutor’s and students interactions (Pata, Lehtinen & Sarapuu, 2005). Tutors‘ support was effective if directed towards supporting students to scaffold each other in the inquiry, and less effective if directly supporting students‘ knowledge construction (Pata, Sarapuu & Archee, 2005). The results of these studies were used to develop the framework for scaffolding collaborative knowledge-construction in chatrooms (Pata, Sarapuu & Lehtinen, 2006). We also studied collaborative visualisation on electronic whiteboard of chatrooms.The participats‘ spontaneous metacommunication, and its influence on the construction of shared representations in groups was studied. It was found that when working simultaneously in verbal and visual environment, students must be guided to reflect their meanings about visuals in verbal format. The most effective was the groupwork where students shifted roles of modelling on electronic whiteboard and explaining verbally the mental models. The results of the experiment were used to develop the model for effective metacognitive scaffolding in collaborative visualised learning process (Pata & Sarapuu, 2003). In series of experiments the interrelations of students‘ cognitive and metacognitive development were investigated when learning in multi-representational environment. We studied how students developed awareness of cognitive and metacognitive tools in such environment. It was found that during the 1st problem task students did not obtain the task-related awareness of the learning objects, and it developed dynamically only after solving several problems. The level of students‘ awareness of learning objects influenced the effectiveness of solving inquiry tasks, especially the phase of transferring knowledge between the authentic problem situations and theoretical situations (Pata, Pedaste & Sarapuu, 2007). In another study it was found that students lacked of conceptual consistency during solving the sequential steps of the inquiry in multi-representational environment, this result was supporting the theory of contextual reconstruction of knowledge from pierces rather than that of the activation of the whole conceptual frameworks. It was found that the students with alternative scientific understanding showed less progress in the inquiry learning environment, indicating that individual inquiry with the model was not an effective tool for eliminating students‘ misunderstandings (Pata, submitted). In the next study it was found that the students‘ level of initial conceptual coherence influenced their effectiveness of performing certain steps of the inquiry in the multi-representational environment. Conceptual coherence was conceptualised as the students‘ ability to translate simultaneously information from one form of representation to another, and from one context to another. The multi-representational learning environment was found to be effective in advancing students‘ level of conceptual coherence (Pata, Pedaste, & Sepp, 2007; Sepp, Pata, Pedaste, 2007).These studies have lead to the ideas related to ecological approach to learning environments . Barbara Kieslinger asked me to make the scheme of Trial 2 of iCamp Project. Here is something preliminary to discuss. The lines connecting tools and activities actually mean the free choice (coupling) among those tools on the basis of affordances perceived in the activities at team level and anticipated tool affordances. LEARNERS MAKE WEBLOGS AND VIDEO OR PHOTOLOGS TO GET INTRODUCED. FACILITATOR INTRODUCES PROJECTS, MAYBE IN WEBLOG. FACILITATOR INTRODUCES HOW WORK IS ORGANISED. LEARNERS SELECT TEAM ACCORDING TO THE PROJECT. AFTER ASSEMBLING TEAM ENVIRONMENT AND DISTRIBUTING TASKS THEY DO PERSONAL CONTRACTS. PEER-EVALUATION PAIRS MUST BE CREATED TO MONITOR PERSONAL CONTRACTS AT CERTAIN TIMES. ONLY TEAM-MEMBERS CAN DO IT FROM INSIDE BECAUSE THEY KNOW WHAT IS ESSENTIAL FROM THE PROJECT ASPECT AND WHAT TASKS THEY DIVIDED TO PEOPLE. TEAMS CONSTRUCT THE PROJECT IN SHARED AREA, THEY CAN ALSO AGGREGATE PROJECT FROM PERSONAL ARTIFACTS, BUT BETTER TO MAKE SHARED ARTIFACT OR CONSTRUCT SOMEWHERE. CERTAIN TIME-SLOTS MUST BE DECIDED TO ANALYSE TEAM-MEMBERS BY PERSONAL CONTRACTS FROM THE PROJECT ASPECT. TEAM CAN DECIDE TO CHANGE PERSONAL CONTRACTS AT SOME EXTENT IF PROJECT DEVELOPS DIFFERENTLY. BUT THIS CAN HAPPEN ONLY AT CERTAIN ANALYSIS/REFLECTION MOMENTS. FACILITATOR SUPPORTS TEAMS AT TEAM/PROJECT LEVEL USING WEBLOG AND MONITORS THE TEAMS IN THEIR AGGREGATORS. FACILITATOR DOES NOT DO PERSONAL-CONTRACT LEVEL SUPPORT BECAUSE HE/SHE IS OUTSIDER. TEAM-MEMBERS EVALUATE EACH OTHER IN THE END OF THE PROJECT USING CONTRACTS, THEY MAY NEED TO PRESENT IT TO THE FACILITATOR SO THAT IT WAS CONTEXTUALISED. FACILITATOR CAN EVALUATE THE INDIVIDUAL CONTRACTS ONLY IN THE END. FACILITATOR EVALUATES THE PROJECT. WILL WE LET THE TEAM ALSO TO EVALUATE THE PROJECT? You are currently browsing the archives for the People and things category.